1(a) Give the comparison of DFS, BFS, Iterative deeping and Bidirectional search. 1(c) Explain modus ponen with suitable example. 1(d) Draw and Explain general model of Learning Agent. 1(e) Explain the Limitation of propositional logic with suitable example. 2(a) Explain Hill climbing and simulated Annealing with suitable example. 2(b) Explain Goal based and utility based agent with block diagram. 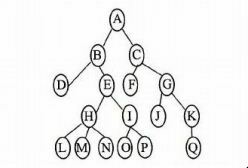 3(a) Consider the given game tree. Apply $\alpha$-$\beta$ pruning where $\square$-max node, 0- min node. 3(b) Explain Role learning and Inductive learning with suitable examples. 4(a) Consider the following sentence. Prove that Tom is mortal using modus ponen and Resolution. 4(b) Draw an explain the expert system Architecture. 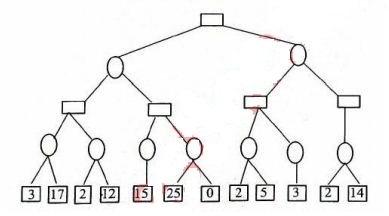 5(a) Consider the given tree, apply breadth first search algorithm and also write the order in which nodes are expanded. 5(b) Write the Planning algorithm for spare tyre problem. Q6) Write the short note on any four.